Tulsa Ballet is thrilled to be returning to the international stage in April, 2019. The company will give six performances (additional dates may be added) throughout Italy, Spain and Switzerland. The program will be a mixed repertory evening of three ballets featuring works by Kurt Jooss, George Balanchine and Annabelle Lopez Ochoa. Click here for updates. Tour Archives: NYC Joyce Tour 2018, Italy Tour 2016, Ballet Across America, Kennedy Center, Washington, D.C., 2010, NYC Joyce Tour, 2009, International Ballet Expo, Seoul, South Korea, 2008, Belgrade Dance Festival, Croatia Tour, 2007, Sintra Festival, Portugal, 2002. 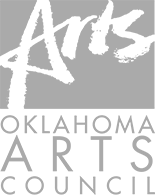 Tulsa Ballet is excited to offer a flexible and affordable way to bring professional dance to your community and encourage awareness of dance as an art form. We can help you custom design the perfect evening, or day, of dance for your audience. For dance lovers of all ages, Tulsa Ballet II excited to present an evening performance of On Your Radar, a double-bill featuring the best of classical and contemporary dance performed by our own Tulsa Ballet II. On Your Radar showcases Tulsa Ballet’s diverse repertoire, reflecting both Tulsa Ballet’s history, as well as Artistic Director Marcello Angelini’s vision of and commitment to creating and performing new ballets by some of today’s most sought after, cutting edge choreographers. We are excited to present our brand new education program, Peter and the Wolf, based on the narrated score by Sergei Prokofiev, with choreography by Tulsa Ballet’s Resident Choreographer, Ma Cong! Designed for students grades 2 through 12, this 50 minute performance incorporates classical music, instruments and dance to tell the story of a Cat, a Bird, a Duck and Peter who must work together to defeat a Wolf. All narrated live by a professional actor. This multi-media production is sure to captivate, educate, and entertain. Peter and the Wolf can be offered as a matinee for area schools and can be included as one of the pieces in the On Your Radar evening show.